Nagashino Castle (長篠城) is located in Shinjo, Aichi Prefecture. Nagashino castle is well known as one of the stages of the battle of Nagashino Shitaragahara. There is a museum of the battle of Nagashino in this castle. 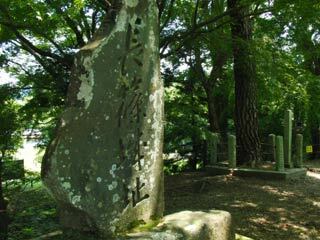 It is must see spot for all fans of Sengoku Period. It was built in 1508 by Suganuma. It was very important castle for Tokugawa Ieyasu. In 1575, Takeda Katsuyori brought 25,000 armies and surrounded Nagashino Castle. This was the beginning of the Battle of Nagashino Shitaragahara. The damage from the battle of Nagashino was too much, and Okuhira Nobuaki built new castle at Shinshiro in 1576. After that, Nagashino castle was dilapidated. Currently, it is one of 100 best Japanese castles. The only Honmaru remains. There is dry moats and walls are still remains.